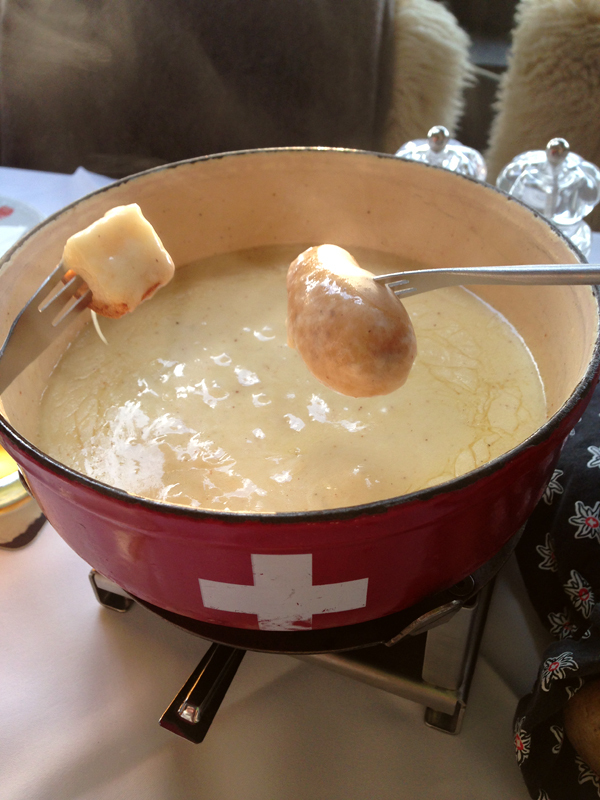 Of course the first thing that comes to mind when you think Switzerland is fondue. 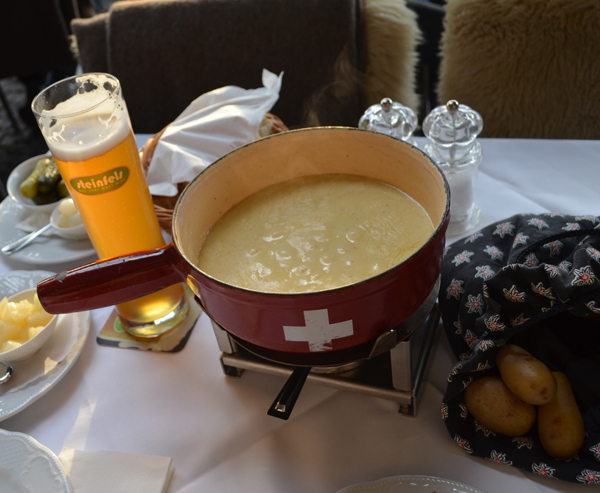 Our first night in Zurich was found a spot with outdoor seating that served big pots of melted cheese fondue. 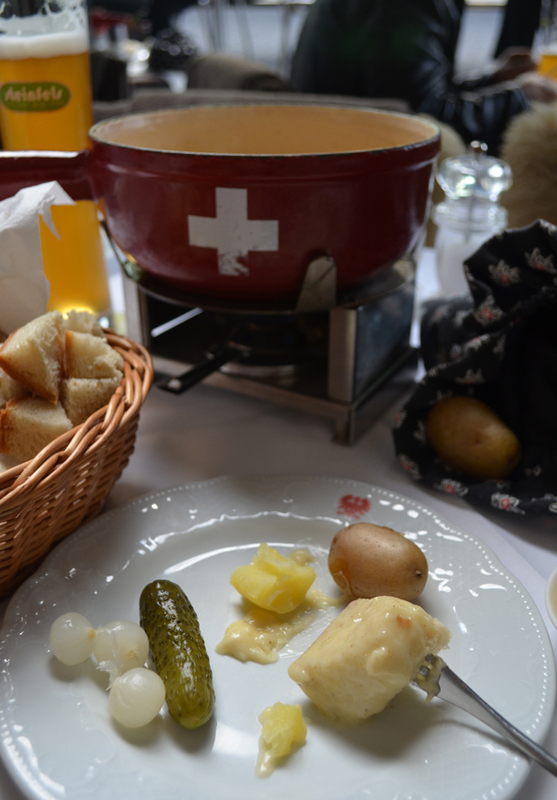 Not only did the cheese come with bread to dip in it but a bag full of boiled baby potatoes! I was in cheese heaven. 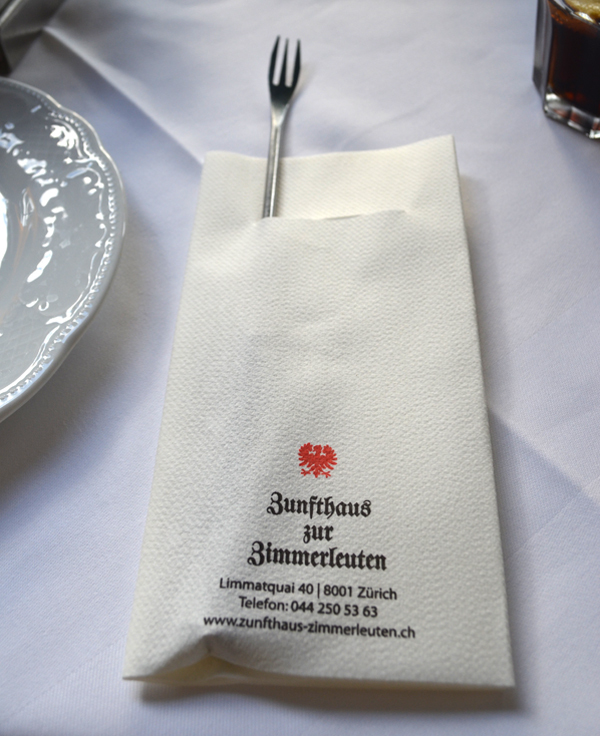 Here they like to serve the fondue with little pickles and baby onions. 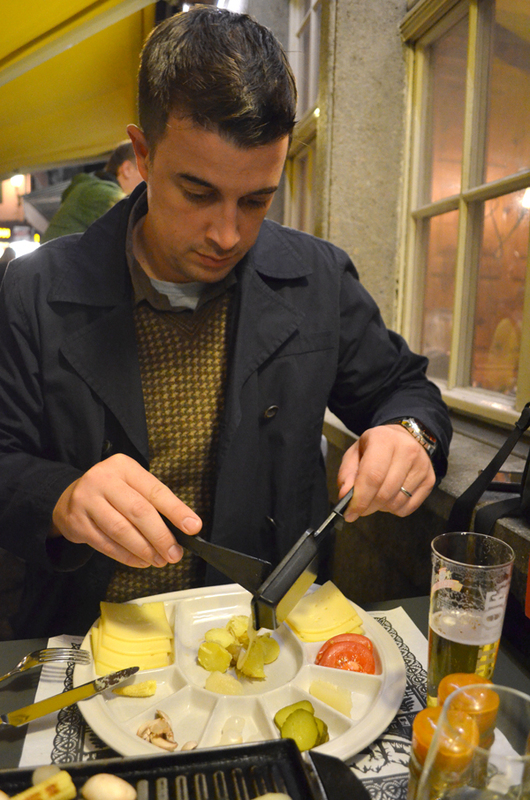 I nibbled on those a bit but really it was all about the cheese. 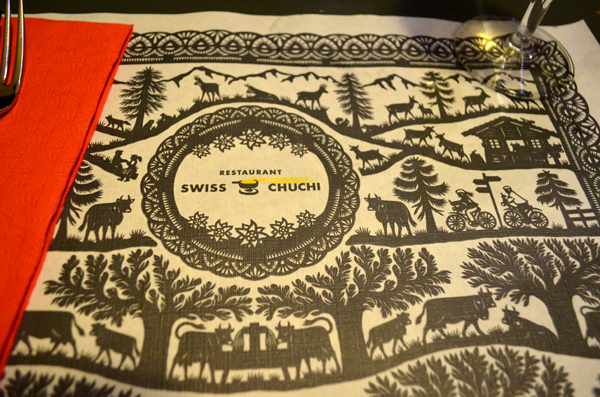 Even though the temperature are dropping here in Switzerland, many people are still dining outside. 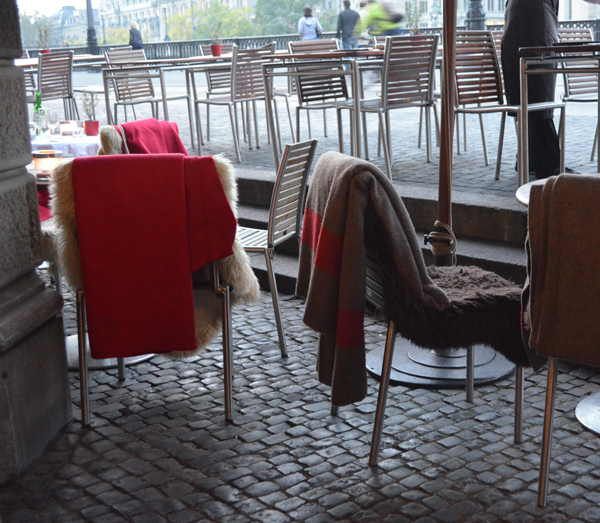 Lots of cafes and restaurants place faux sheep skins and wool blankets out on the chairs for people to use to ward off the chill. 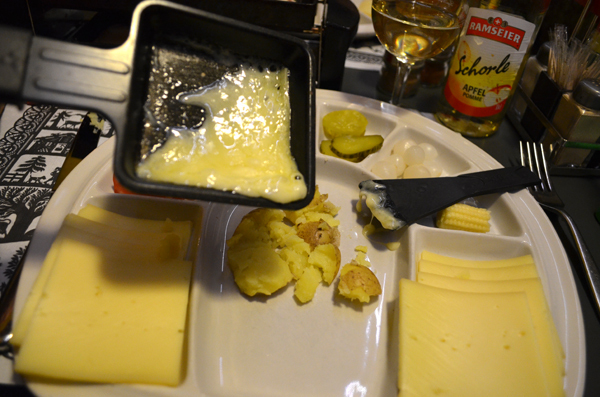 Raclette is also melted cheese, but you melt the cheese on a grill and then scrape it onto a plate. Back in the day they took a big wheel of cheese and melted one side in front of a fire and scraped the melty part off onto bread. 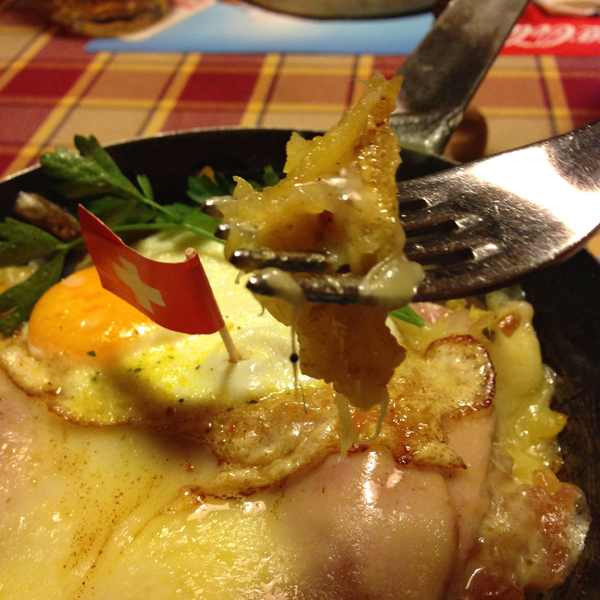 I've never had raclette so I was on the hunt in Zurich until we found this restaurant that served it. More common today is the use of an electric hot plate where you place slices of cheese in a little pan to melt under the hot grill while you cook other food like mushrooms or meat on the top to go with the cheese. Again, you get a bag of small potatoes with your meal. We smashed them and poured the cheese on top. 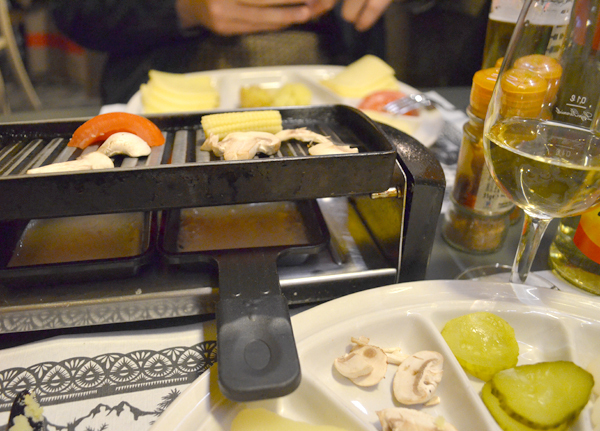 Our cheese also came with tomatoes, pickles, mushrooms, pear, baby corn and baby onions to go with the cheese. Some people ordered meat to grill also. Last on my list was Rösti. 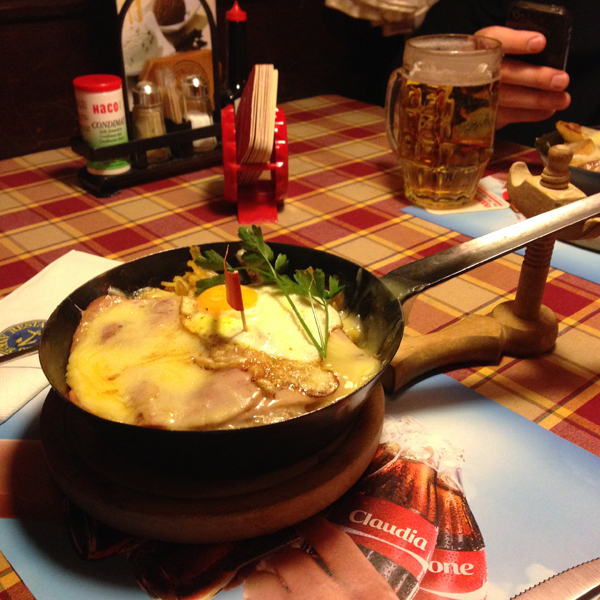 This is a dish where grated potatoes are fried in butter in a round fying pan. Often they come with bacon, onion, cheese or apple on top.